I've never seen the desert like this before -- snowy, icy, not getting above 60 degrees during the day, and dipping into the teens at night. Two years ago, I traveled to Zion and Capitol Reef National Parks in May, and this time I wanted to see them in the winter. 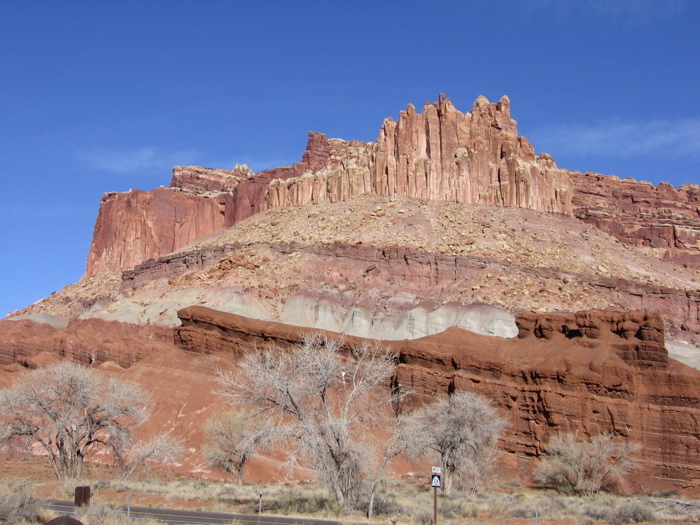 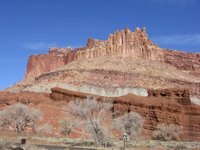 Our first stop was Capitol Reef National Park, a stunning landscape of water- and wind-sculpted sandstone -- white, red, gray-green, chocolate brown. 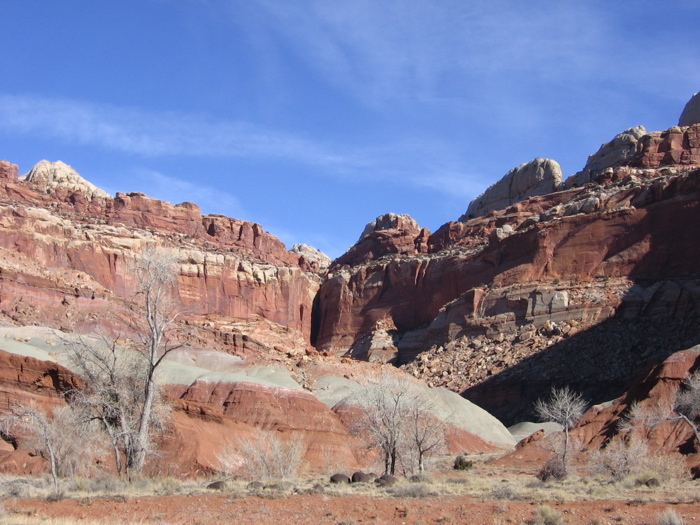 Here the Fremont River tumbles through the narrow canyon, ice clinging to its edges in the winter. 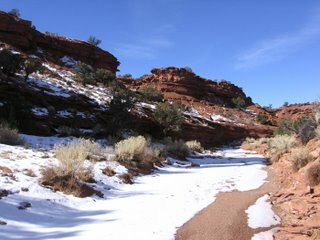 We hiked down into a wash, following the tracks of a mountain lion, who had prowled the snowy area some hours before our arrival. 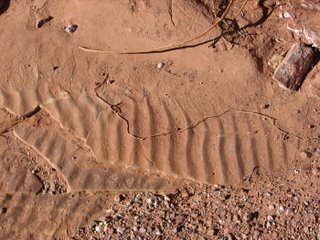 At a bend of deep red sandstone, we found evidence of ancient seas, preserved ripples in the rock. 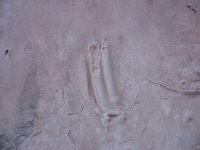 After hunting around, we found the tracks! 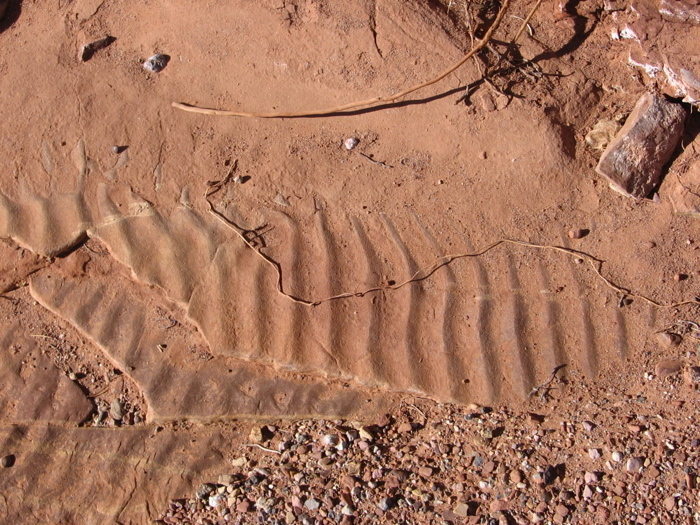 It's so exciting and fascinating to see the trackway of an extinct animal, and I can vividly picture the creature picking its way along a lake shore on a humid Triassic earth so long ago.